Arenal Volcano is one of the most popular Costa Rica attractions. It is around 3.5 hours drive from Playa Del Coco. But it is definitely worth the ride! 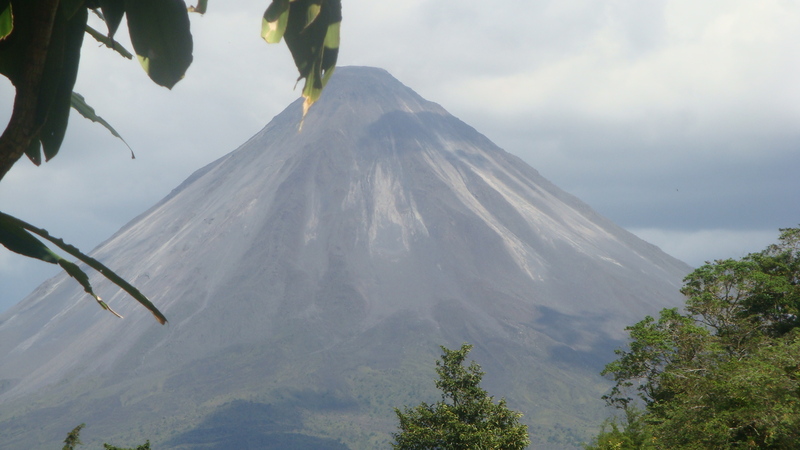 Volcano fans have acknowledged Arenal the third-most perfect volcanic cone in the world. It is also the youngest and most active volcano in Costa Rica, and one of the ten most active volcanoes in the world. Just 3,000 years old, Arenal Volcano is considered a young volcano. Little is known about its early life, but it had been believed dormant from AD 1500 until 1968. Drawn by verdant slopes and incredible views, adventure lovers, hikers and naturalists regularly ascended to the volcano’s summit, often camping out in the cool crater. Lake Arenal was created in 1979 for hydroelectric purposes. The largest lake in Costa Rica, the 21,128-acre reservoir provides almost 50% of Costa Rica’s total electricity, as well as water for farming and irrigation. Arenal Volcano National Park, adjacent to Arenal Lake, is an important watershed, providing over 70% of the lake’s water. Many hotels and eco-lodges in the La Fortuna area provide to the overwhelming volcano view.